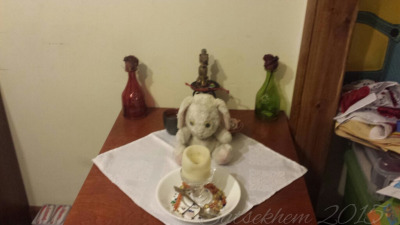 The Propitiation of Sekhmet 2015. 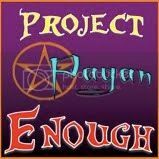 Last year, I created a holiday for myself in an effort to incorporate Sekhmet into the epagomenal days and the New Year. I had a real purpose to this: I wanted to add Sekhmet, who was the main reason I was on the path that I am, with the celebrations that I was undertaking in the name of netjeru that I don’t really have relationships with. It felt wrong to not include her, to be honest, so I made it my mission to do so. I formed the basis and the actions that went with the celebration last year. I wasn’t thinking beyond the actual creation of this. I had an idea of what I wanted it to look like one day since I did, sort of, base it off of the mysteries that TTR celebrates for O every year. But I didn’t stop to think what that would mean in the future. I just needed to create some form of back bone and take it from there… at some point. With a foundation created, I didn’t do anything further. Aside from wrapping her up in the black scarf I purchased specifically for this, I didn’t do any heka. I didn’t add any further rituals. I just left her closeted away for five weeks (yes, five weeks) and left it at that. At the time, I needed a break from everything and ended up running as far and as fast as I could after the wrapping of her icon was completed. With all of the other things going on this year, I recognized that what I was aiming for last year wouldn’t be sufficient for me this year. Sekhmet had told me that I had things coming and that I would have rules to follow. I’m still parsing that bit out, but the gist is that I needed to focus more on the duties as her servant that she wants and less on the bare bones that I had crafted last year. It’s a bit like that section in My Heart, My Mother by Alison Roberts. She discusses how Osiris is the foundation of all ancient Egypt. During a conversation with TTR on this subject, I mused about how our altars could be viewed as a continuation of this idea, as the backbone of O: each altar being a form of central focus, a foundation, if you will of our practices*. 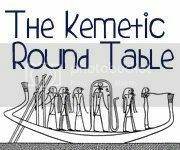 The actions of my ritual for Sekhmet prior to the epagomenal days and Wep Ronpet were another version of this backbone. I just needed to flesh it out. * I’m not saying that altars are mandatory in order to practice Kemeticism. I was thinking more on the physical reminders of one’s practice, which an altar would be the largest in my opinion. There are many other things that can and do make up the backbone of one’s personal practice. So, I decided that I needed to do more than just act: I needed to think and say, as well. Since this was going to be messy, I had a crappy cloth to soak up as much excess oil as I could get. … I still made a mess though. I chose to use one of the spells I read in Ancient Egyptian Magical Texts by J.F. Borghouts. Much of the spells in here make me go, “what,” most especially since the ancient Egyptians really seemed fond of crocodile poop. 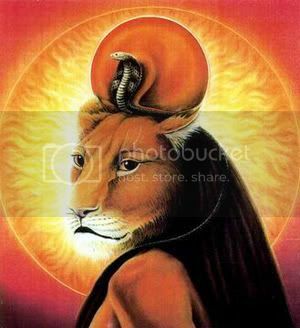 But there are a few bits of heka that include items to prevent the netjeri of Sekhmet from inflicting harm on the person who is either performing the spell or the person who the spell is being done for during the End of the Year. There are 12 spells regarding the End of the Year in this book to choose from. I chose to work with spell number 13, which can be found on page 12. I ended up choosing to use a silky nylon cord of which I have a large abundance of. 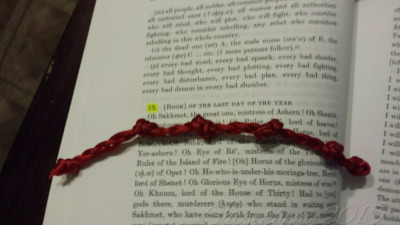 I chose to use cordage in the color red. While the color red is associated with things like destruction and anger, it also has associations with strength, virility, and kingship. Since the color is most often associatied with Sekhmet, and being a devotee of hers, it occurred to me that choosing red cord would be an excellent way to utilize it’s negative aspects as well as its positive aspects against the netjeri that would be unleashed the next day. It would help to protect me when they are unleashed. Since I didn’t know how much string I would need to include 12 knots, I decided to just try it out and see what happened. I had spare cords that I had cut for another purpose that I no longer recall. They were about 20″ long. I cut a third piece to the same length and tied the beast together. It was still pretty covered in oil but it was no longer dripping everywhere at least. I have three vials of various oils that someone made for me a long time ago. (I can’t even remember who or why, tbh.) One of them is a protective oil to keep evil away. So I figured that since I was using cordage, which doesn’t have space to create depictions of gods on it, I could use this oil as a replacement. I soaked the hell out of those three cords and then let it dry for a while. I cut up a huge bowl of cucumbers and shared them with Sekhmet while I waited. When I felt like enough time had passed, I braided the three cords and found out that no matter how much time has passed, when it comes to oil being soaked into cordage, you’re still going to make a huge mess. I also discovered that one crappy white rag was insufficient and would up with oil all over my hands (again) and in small drips on the table. When that was completed, I tied knots in the middle as evenly spaced as I could manage it and reformed the knots at the end so that they were evenly spaced as well. I only had enough space for 6 but I’m okay with that. I pulled over the book and whispered spell 13 from beginning to end over the cord. I plan on doing this every day through the epagomenal days and including on Wep Ronpet. I haven’t decided if I will keep this up through to the Wag-festival though. The next step was to clean up the altar space and get Sekhmet situated. It was a good afternoon and I felt like I had really accomplished things this time around. I pulled everything off of the altar that I use to associate with her except for the bowlplace of truth, Professor in his aspect as Maurice the Netjeri, and a small bowl of offerings. This bowl of offerings included by ib pendant that I wear daily, the beautiful red bracelet that Stone Spiral made, and my personal devotion. I spoke words over that offering bowl regarding the depth of my devotion to my lady. We spent a good portion of the rest of the day just resting. I had the blinds open to let in fresh sunlight and I napped as I watched the sun move across the sky. I listened to music that made me think of my relationship with Sekhmet. I also ended up finishing off the cucumbers with her, realizing that no matter how many you cut up, it’s probably never enough to fill you up. 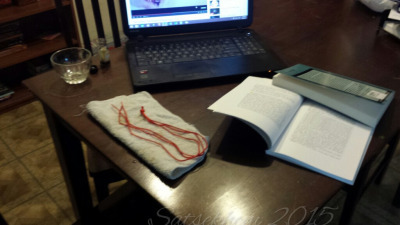 Later that evening, I pulled out my little pile of offerings and set them together so that I could get started. I left them out for her to look over with the feather of ma’at amulet above them. This gesture was to remind myself that what I was always aiming to maintain ma’at and that what I did, by the virtue of all that I have read about the gods and how they were served in antiquity, was an extension of maintaining ma’at. I pulled Sekhmet from her representative benben and carefully wrapped her in the black scarf. As I did so, I spoke yet more words discussing that process, the why and the how, and the reason that my power was as strong as any god’s. Once she was wrapped up, I wrapped the package that is Sekhmet in a white cord and murmured spell 13 back over the entire altar space. As she went on her way with her package of my personalized offerings, I set up Professor in his aspect as Maurice the Netjeri to keep watch over her passage. I lit a cone of incense to bless the path that she walks with the sweet scents of sandalwood. 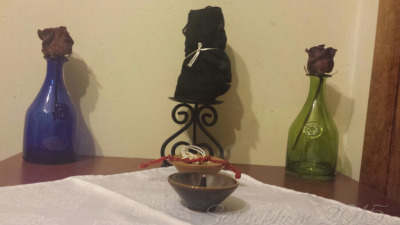 I then placed my red cord of protection on the altar, a not-so-subtle reminder to the other netjeri that I am a hekau of Sekhmet and my demands will be obeyed.